This photo took some nerve to capture, but I really liked this guy's face. 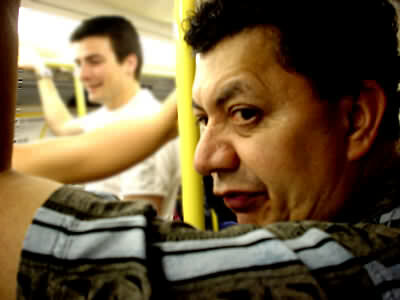 I had to pretend to fiddle with my camera and then sneakily grab this shot, during a late night tube journey home. He doesn't look too amused!